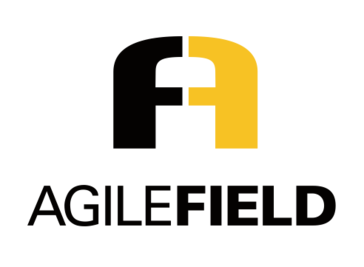 AgileField helps mid-market field service companies compete effectively and grow profitably by giving your field technicians the tools to deliver consistent, quality customer service faster, at a lower cost. "I chose AgileField for my field services clients"
The product requires a significant period of adjustment but I am not sure I would truly call that a dislike. By adjusting to features of AgileField, a user can eliminate most of the problems that made them look for a new system in the first place. Just don't do what many do and try to make the new system match the old processes. Get the assessment from their website and be clear about your goals and objectives when choosing a system. If you're not sure about this product, let them give you a demo. Once you see what it can do and how easy it is to work with, you'll know it's the right choice. As a CRM consulting company, it's our job to help our customers choose the right platform for their business. While there are many robust systems out there, AgileField's micro-targeted functions for field services is a game changer for our customers in that industry. One of the biggest benefits our customers cite is the mobile offline capabilities, because it gives them access to crucial information when they're out of cellular range.They also like how much it cuts down on their paperwork. They can submit work orders and get signed invoices on the spot via the app. They can clock in and out on a project and map their route to the next one. Plus, it makes their company look great in the eyes of the customer because they're keeping in touch via on site alerts, in transit notifications, instant signatures, and photos and documentation of their work. AgileField addresses several critical needs our customers face on a daily basis. Job sites in remote areas often do not have cellular service so off-line functionality is a must have feature. Documenting work with photos and capturing signatures in the field provides our customers with the ammunition they need to back up their work should any questions arise after the fact. Currently have not identified any features that I dislike. Our customers needed a solution that would integrate with their existing accounting application, allow for off-line access for users in the field, and capture signatures of work completed. AgileField has met all of those requirements. "The solution that is just right"
AgileField is the "just right" product - not too expensive and also feature rich. While there are a ton of low cost solutions out there, they just don't have the same level of functionality that AgileField does. And, on the other side, getting AgileField up and running is quick and painless, unlike the huge enterprise type solutions. I really can't think of anything about the product I don't like. I would highly recommend it. AgileField allows me to efficiently and quickly setup my team for their daily routes. Customers are happy because they get notifications on when the tech is coming onsite. My techs don't get lost and their route is as efficient as possible. * We monitor all AgileField reviews to prevent fraudulent reviews and keep review quality high. We do not post reviews by company employees or direct competitors. Validated reviews require the user to submit a screenshot of the product containing their user ID, in order to verify a user is an actual user of the product. Hi there! Are you looking to implement a solution like AgileField?